Last few days, when I looked at the mirror, I felt that something was not right with my tummy. It’s bulging day by day. Was I pregnant? 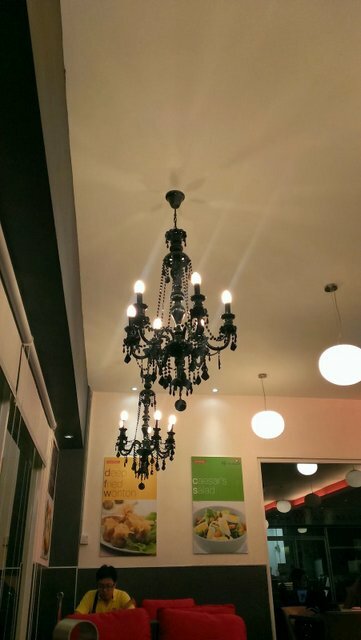 Or an alien was infesting inside? Or I was pregnant with an alien? I had being worrying so much until Yesterday, my wife assured me that it’s only fat. Fat! another worrying “thing” for me. I don’t like fat in my body! Where did you come from? 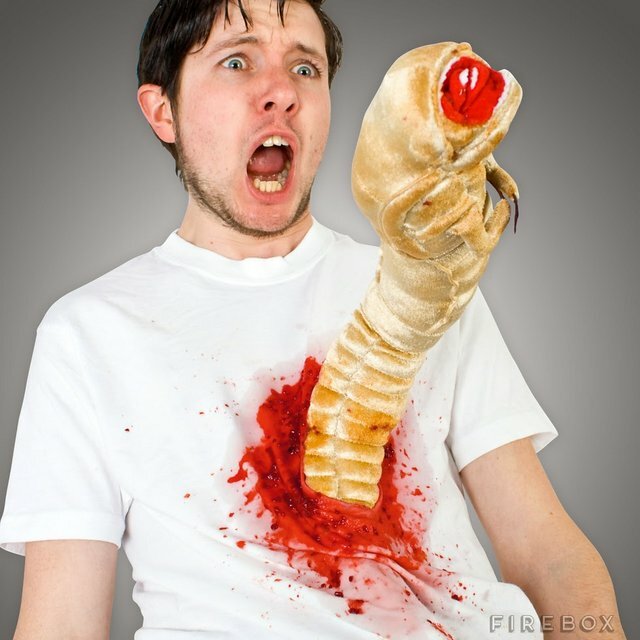 Why are you invading my body?! Leave me alone~! I have decided not to consume so much on high energy food such as food that contains high level of carbohydrates. 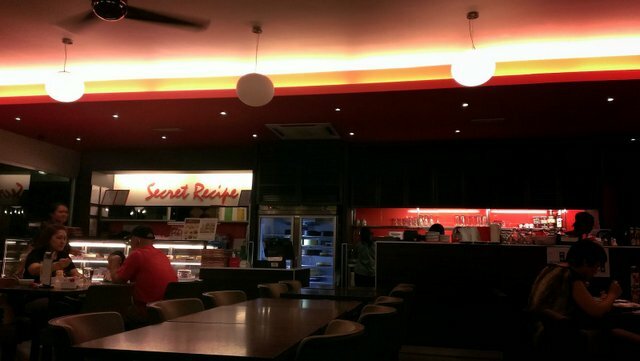 Both me and my wife decided to head over to Secret Recipe located at City Mall, Kota Kinabalu to have our dinner there. I ordered a bowl of Crispy Chicken Salad and a glass of fresh water melon juice. 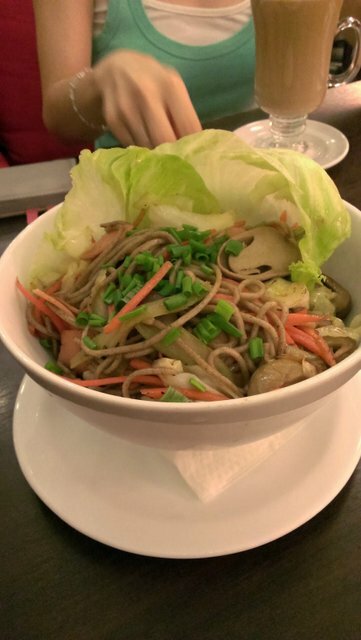 Now if you really still want to feel healthy after a satisfying meal, this is one of the dishes to go. 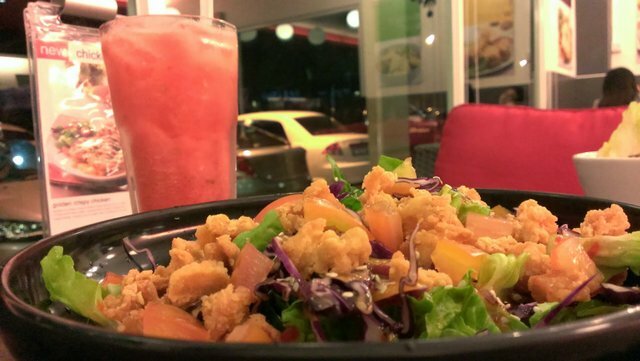 No salad dressing, just fresh lettuce, tomatoes, fried chicken cubes dressed with sweet and spicy sauce. I like the chicken cubes in particular as they are crispy with nice flavoring and not oily. The serving is quite huge for Asian standard but of course it’s just vegies and I managed to finish it without feeling very full. My wife ordered a bowl of Japanese Soba. Can’t comment too much on that as I didn’t try it whole but I did try her Soba noodle. Tasted good…good in the sense that this was my first trying it. Overall experience at this Secret Recipe is quite comfortable especially the cushion that we’re sitting. Not too crowded and waitresses very attending. Pictures below speaks thousand words. Have you being to this Secret Recipe outlet at City Mall, Kota Kinabalu? Kindly share your experience by commenting below. Thanks! If you like this, say thanks by sharing this page! So, you’re wondering what you are going to expect on a day tour to Kinabalu Park and it’s surrounding places of interest? Check out below video to find out! As usual, leave your comment below or drop us a message if you have any question about your tour to Sabah, Borneo! Christ The Redeemer of Kota Kinabalu? Copyright (2016) BorneoEscapade. All rights reserved. No part of this website may be reproduced, stored in a retrieval system, or transmitted, in any form or by any means, electronic, mechanical, photocopying, recording or otherwise, without the prior written permission of BorneoEscapade.